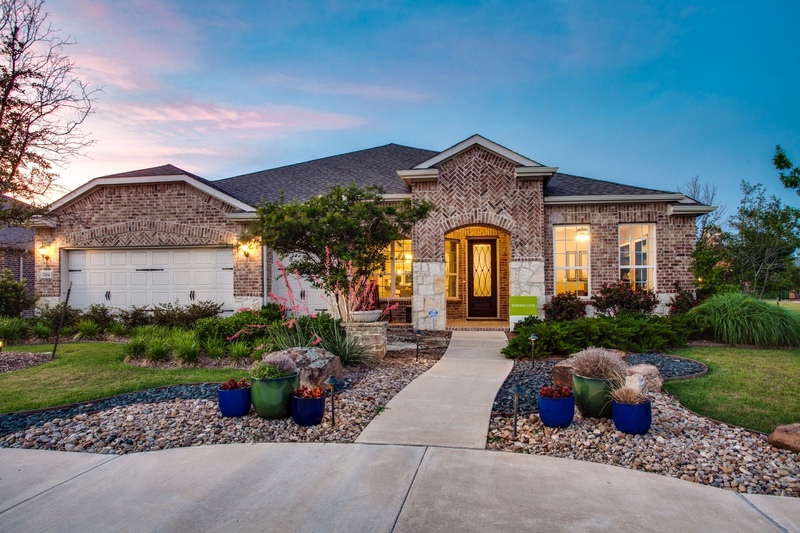 If you’re 55+, you may have heard that Del Webb is building a beautiful, active adult community in Trinity Falls. Can’t wait to learn more? You can find the answers at the newly opened Del Webb information center. How much will a home cost? Homes in Del Webb are expected to be priced from the $230,000s. How many floor plans can I choose from? You will be able to choose from 10 easily customizable floor plans, ranging from 1,300 to 3,000 square feet. Are they really built for active adults? You bet! The single-story homes boast open floor plans that are perfect for casual gatherings or holiday dinners. Master suites are luxurious with no-step showers and beautiful finishes. Multi-level curved countertops in the island kitchens, under-cabinet lighting and lowered dishwashers make kitchen duty a breeze. Even the laundry room is a convenience as it’s just off of the master suite. Absolutely. There will be an amenity complex built exclusively for Del Webb residents. The center will include a 10,000-square-foot clubhouse; fitness center; a swimming pool with lap lanes and lounging areas; a hot tub; ample poolside seating; and courts for pickle ball and bocce ball. Can I use Trinity Falls amenities? That’s the best part. You can use your own complex or come over to The Club at Trinity Falls for exciting events planned by our lifestyle director. You’ll also have access to our beach-entry pool and B.B. Owen Park with 12-foot-wide hike-and-bike paths along the forest’s edge, disc golf, two lakes, a dog park and amphitheater. Still have questions? Stop by the information center today and find out how you can make Del Webb and Trinity Falls your new home.